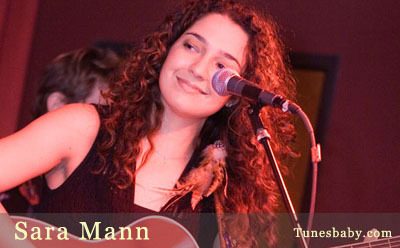 Sara Mann is a bona-fide triple threat as a singer-songwriter-stage performer. She represents a winning combination of sensitivity, songcraft, beauty and pure star quality. Sara’s love of music blossomed at the early age of 5, when she began playing piano by ear. Soon after, her first compositions and lyrics began to appear. As a teenager Sara had eclectic listening tastes; she grooved on everything from Top 40 artists to Broadway musicals to jazz singers. Her compositions and songwriting style gracefully emerged to reflect her moods and feelings, instead of simply echoing the music she was listening to at any given time. She has been playing piano now for 20 years, and guitar and bass for 7…singing her whole life. Since 1998 Sara has been a featured singer (duet and solo) for the legendary Harry Belafonte, on a never-ending world tour now in its 6th year. This has broadened Sara’s horizons, giving her an appreciation for world and Jazz music, and for the intensity of life on the road. Sara has shared the stage with such Jazz greats as Joe Zawinul, Richard Bona, Jean-Michel Pilc, Mamadu Ba and Jose Neto.